At rest different parts of our brain are communicating with each other and this activity can be detected by looking at oscillations in blood flow in different areas of the brain. These oscillations are known as resting state functional connectivity networks. While most of the work in this area has been done using MRI we are using the optical-EEG cap to look at the development of functional networks in the brain. The advantage of this approach over MRI is that it allows infants to be studied in a more natural environment. Preliminary results on healthy term babies have shown that resting state networks can be detected using light. 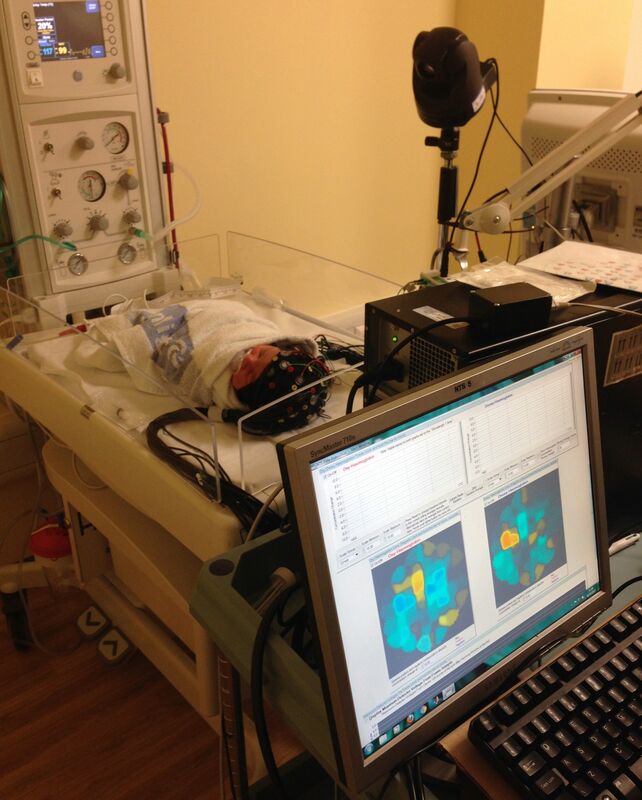 We plan to look at the development of these networks in both premature babies and babies with brain injury.